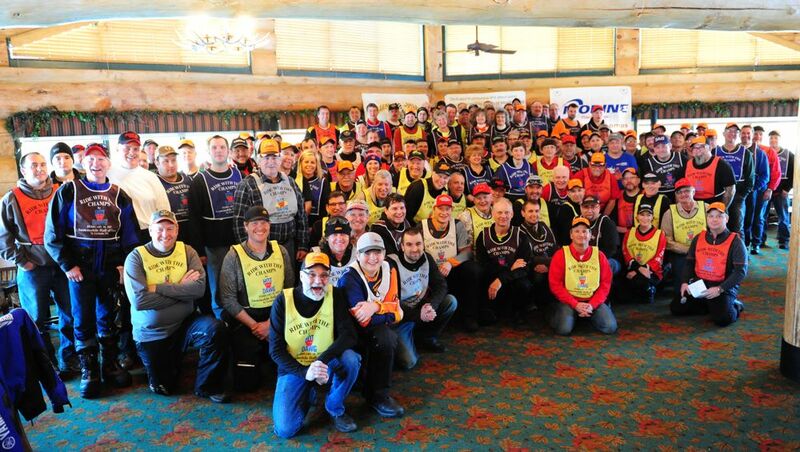 The Snowmobile Hall of Fame held its annual Ride With The Champs (RWTC) and Induction ceremony last weekend in St. Germain, Wis., bringing together legendary snowmobile racers and fans to celebrate snowmobile racing, culture, riding, machines and the four inductees for 2017. Interest and growth in this event has continued in recent years, and 2017 was no exception. For the first time in event history, the formal induction ceremony on Saturday evening reached the capacity of the beautiful Whitetail Lodge. 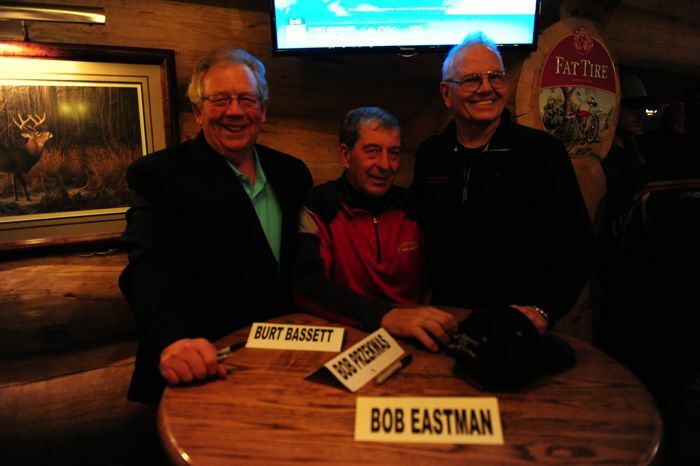 If memory serves correct, 340 people enjoyed an evening of autograph session, a great dinner and another wonderful induction of four great men: Burt Basset, Bill Bickford, Pat Hauck and John Hooper. 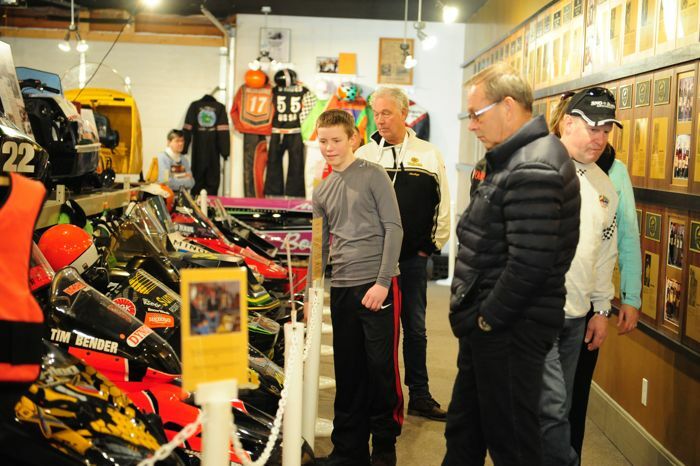 Prior to the induction, however, the weekend included its annual poker run, BBQ and fish fry on Friday, along with a SHOF museum that was buzzing with people who took in the collection of permanent and temporary display sleds. Saturday morning consisted of a group breakfast, followed by an assortment of trail rides. 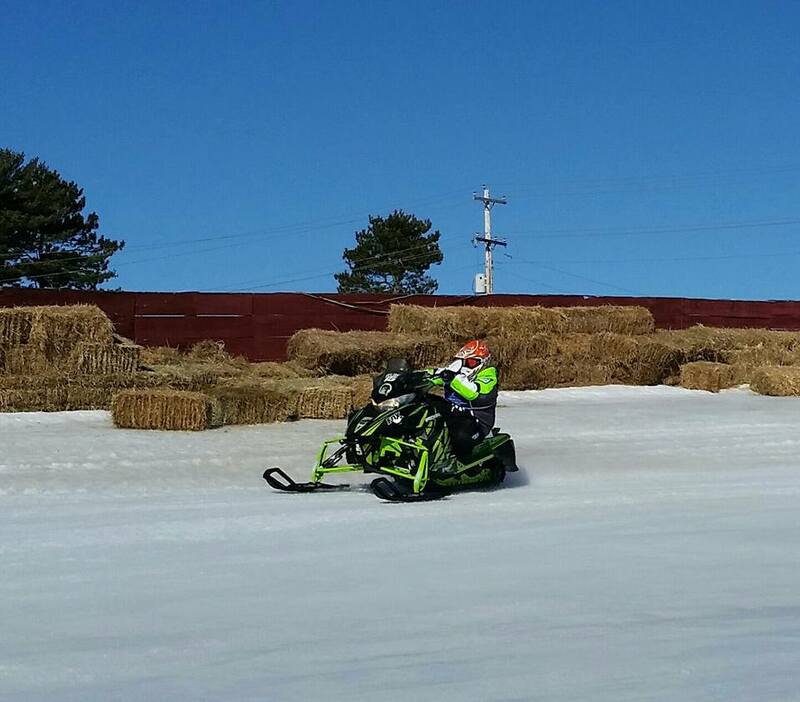 Unseasonably warm temps on Friday and Saturday meant that a handful of rides were modified with different start locations in order to have decent snow conditions, while the one new ride for 2017 – to the Eagle River World Championship Derby track – was modified so that riders trailered to the track, then were given a couple hours to make as many laps around the famed oval as they desired. Though the trail riding didn’t happen for this group, the experience of going to the track was a huge hit. I expect this will become a staple option in coming years. 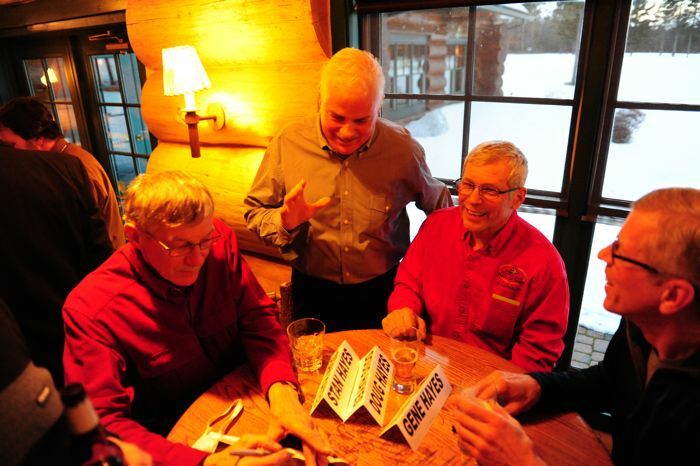 During Saturday evening at the Whitetail, the SHOF board announced several cool fundraising initiatives for funding the construction of a new 60 x 100-ft. museum that will be built adjacent to the existing museum. One fundraiser included an unnamed donor who will match any individual donation of $1,000 (with a $100k limit) that arrives prior to the end of March. Another option was the just-announced Hunter Houle Memorial New Building Fund, which will recognize the legacy of Hunter as well as donor names with a dedicated plaque in the new building. Seeing the four inductees receive great introductions, then give speeches that shed light on their careers (and the people who helped them) is always a key highlight of this weekend. 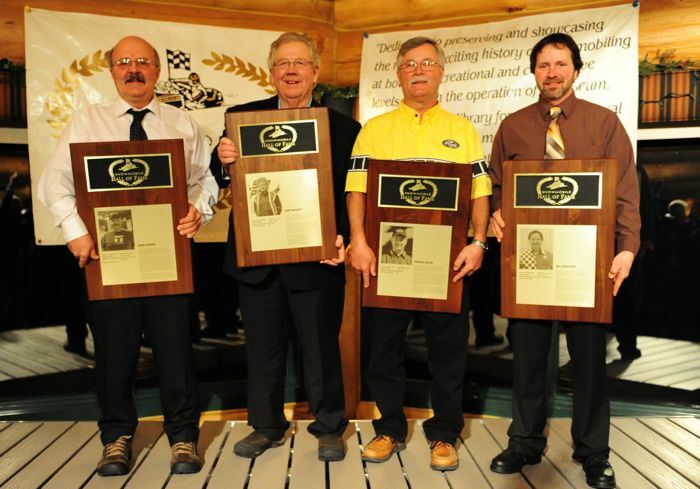 All four of these guys made huge impacts in the world of snowmobile competition. Each was clearly humbled and honored by the occasion. 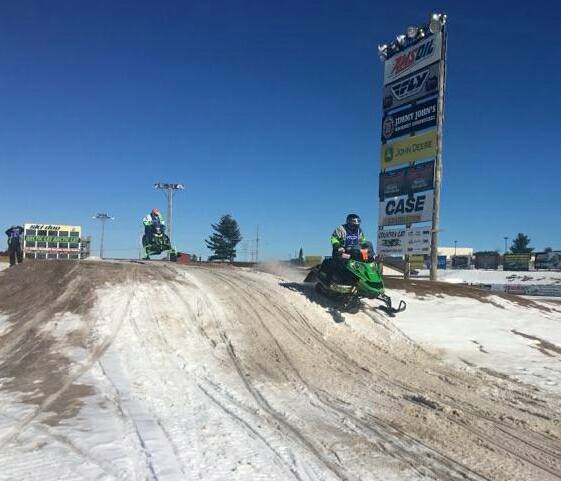 And I was particularly struck by a wise observation by John Hooper, who noted that anyone who’s been really successful in snowmobiling, has done so through tremendous amounts of work and sacrifice to their families. He thanked his family for allowing the sacrifice he gave to build World Championship-winning engines and sleds, as well as for helping to craft new classes in oval racing. I’m already looking forward to next year’s event, as well as the more low-key Spring Round-Up at the SHOF over Memorial Weekend. If you’ve always wanted to experience SHOF weekend, I suggest you pencil it into you calendar for 2018 now, and make firm plans next fall. This event is bursting at the seams, and you’ll be happy to be part of the confetti. 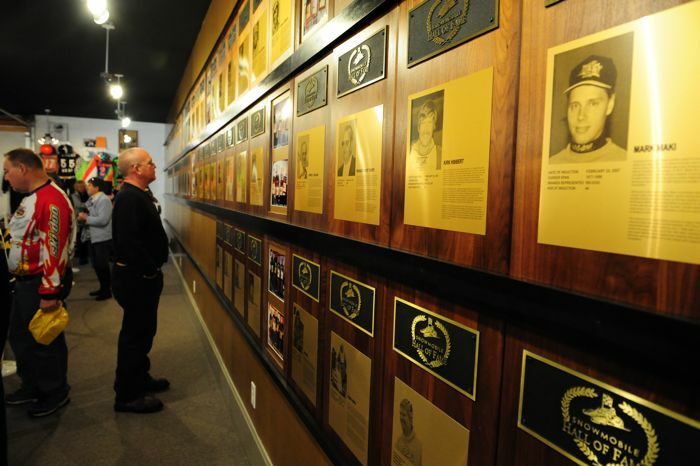 Inside the Snowmobile Hall of Fame museum. 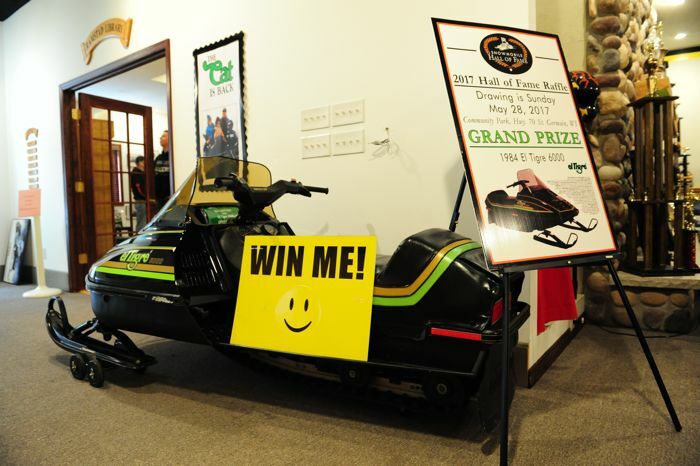 This sweet 1984 Arctic Cat El Tigre, donated by SHOF board member Tom White, is a VERY sweet raffle prize. So too was the 2017 Arctic Cat ZR 6000 Roger Skime edition raffle sled. These raffles are another way the SHOF raises funds for its operations and future growth. L-to-R: Burt Bassett, 2017 inductee, with Ken Hunt and Craig Marchbank (SHOF president). the above two pix, shot by Tom Rowland, captured some of the action at the Eagle River Derby Track, where riders were allowed to make laps for a couple hours. SO COOL! 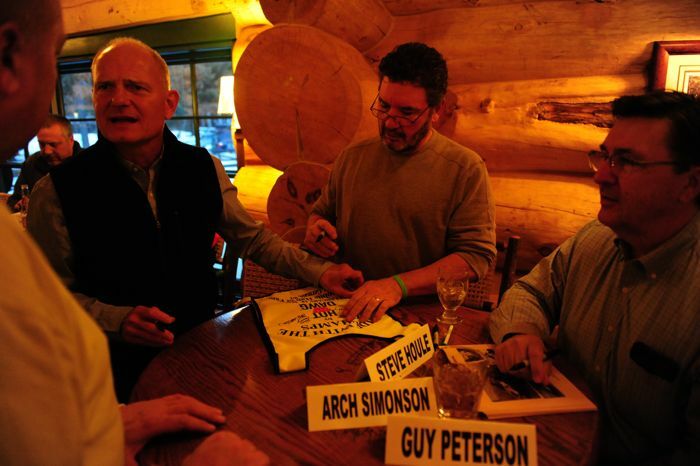 Brian Nelson (R) at the autograph session with fellow inductees Loren Anderson (black shirt) and Norman Ball. 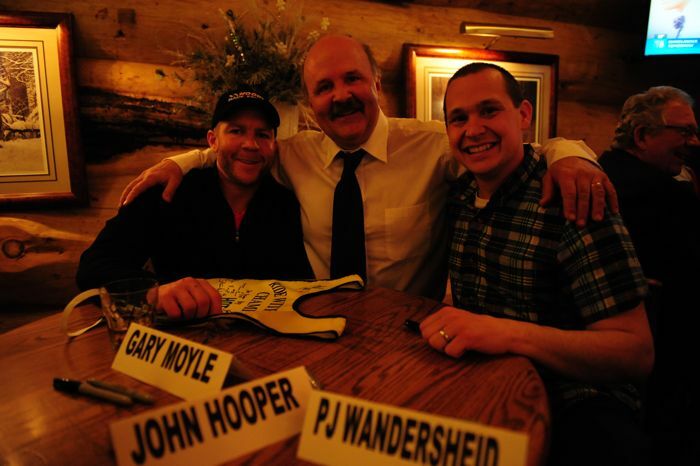 The Hayes brothers (Stan, Doug and Gene) are legendary racers and great supporters of the SHOF. Pat Hauck (L) shares a laugh with friend Greg Marier during the autograph session. 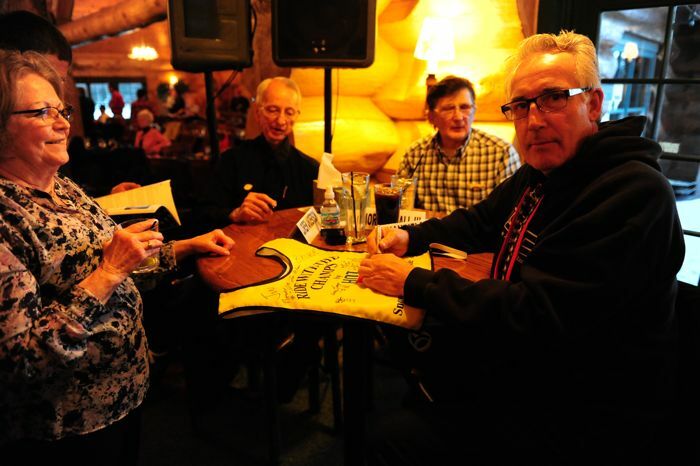 Future Hall-of-famer Archie Simonson (L) at the autograph table with 2016 inductee Steve Houle (middle) and former Ski-Doo oval racer Guy Peterson. This might be my favorite photo of the weekend. It's 2017 inductee John Hooper with his arms around World Champions Gary Moyle and P.J. Wanderscheid. Hooper built the motors (and more) for five of their combined World Championship wins. Lots to be happy about for these guys, and it was cool to see them sharing the joy. It was also VERY cool to see 2017 inductee Burt Bassett (L) surrounded by Bob Przekwas and Bob Eastman (who is also a HOF inductee). 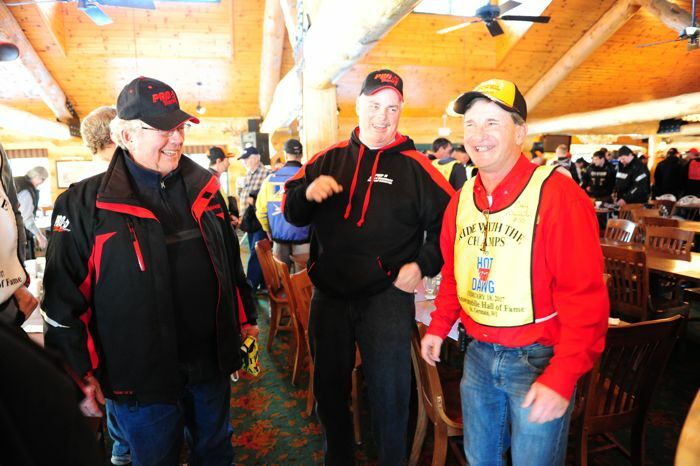 These three guys made a HUGE impact on the sport of snowmobiling and snowmobile racing while working/racing for Polaris. My most sincere congratulations to the 2017 SHOF inductees (L-to-R): John Hooper, Burt Bassett, Pat Hauck and Bill Bickford. I think that this year's Ride With The Champs was my favorite of all the years I have attended. Reconnecting with old friends and making many new ones makes this event a very special one for me. This year was made extra special being able to have basically 2 hours of track time at The Eagle River Derby Track, a special experience that I will never forget!!! Many thanks to the Derby Track for allowing us use of the track!!! IMO, a Barrett-Jackson type auction of rare performance sleds at this event would be a serious fun-raiser . Pebble Beach of SNOW MACHINES ? ?